...but we are forced to make some changes very soon. We have many plans for TrainingBlog, but we did not succeed in getting enough advertisements and sponsorship in the beginning so motivation to prioritze this project was sadly lacking. Now we are soon out of funds and we don´t have the time to develop the site without assurance for a profit. We must also admit that the code for the site is not optimal, due to being started as a project on school and thus lack of programming experience. To bring the site up to the standard of 2018 would mean a complete new code in a different programming language which obviously is a huge job. So... we would like to invite our users for a little brainstorming about how we should proceed. One of the things we are considering is making everything open source, but as mentioned it would be far better to just begin from scratch with new programmers and maybe then making the site open source if that would be for the better for the site. We really truly believe in TrainingBlog. We was one of a kind when we first arrived and many of the original ideas has not been incorporated by our ever growing competition of great logging software out there. Are you an experienced programmer that wants to join our team, then please contact us and we can try to start all over and maybe get some sponsors that might let this site fund itself and let it prosper as it should do. Any other ideas is also welcome. In the meantime, things will stay as they are but users might experience an even slower performance because the funds does not allow us to use the same server as today. We have to downgrade. Thanks to everyone supporting us and everyone that regularly are using the site. We cross fingers that TrainingBlog might live on... please get in touch if you have any ideas for how we should proceed. Good news is that the site will live on like this for another 2 years, we have payed the hosting provider for two new years. 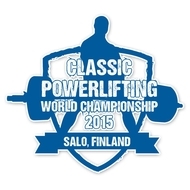 The IPF classic world championship starts today and runs till next sunday. The meet is held in Salo, Finland. You can follow the meet live here. 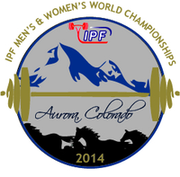 The IPF world championship equipped starts today and runs till saturday. The meet is held in Denver, USA. A new version is out, check out the changes bellow! This update is mainly bugfixes and optimization. - Updated personal best tracker to show total Meet PR! (7/10-14) - Read more about ut here. Enhancement to personal best tracking added! As an part of the upcoming v1.3 of trainingblog.com the Personal Best Tracking system has been enhanced with new features! Stian Walgermo commented the post The end for TrainingBlog? Peter Razenböck commented the post The end for TrainingBlog? Kjell-frode Skogsøy commented the post The end for TrainingBlog?